On the road to Civil Rights, even children became public figures, such as six-year-old Ruby Bridges, who integrated an all-white elementary school in New Orleans on November 14, 1960. Four years later, Norman Rockwell depicted her brave act of just walking to school, escorted by federal marshals, in a painting, “The Problem We All Live With.” Episode Five: Rise! includes historic footage of Ruby Bridges’ first day at school and a conversation with her today. 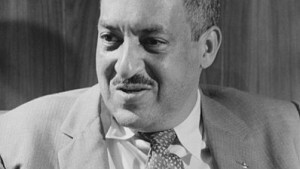 Six years earlier, after decades of struggle, the NAACP had won a major legal victory in the Supreme Court, represented by then-lawyer Thurgood Marshall, a future U.S. Supreme Court Justice. 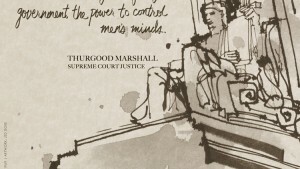 In Brown vs. Board of Education, the Supreme Court declared that the doctrine of separate but equal schools was unconstitutional. For years after the ruling, the South simply refused to integrate. 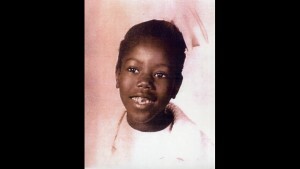 Ruby became one of six New Orleans children chosen to desegregate several all-white elementary schools in the city. 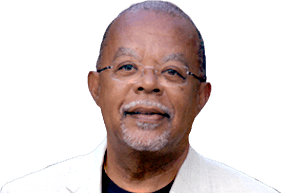 The story of Ruby Bridges and desegregation is part of Rise!, Episode Five of the six-part series, The African Americans: Many Rivers to Cross with Henry Louis Gates, Jr. 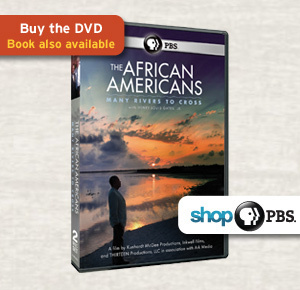 Episode Five premieres on PBS on November 19, 2013, 8-9 pm ET. Check local listings on the broadcast schedule. In 1955, Rosa Parks refused to give up her seat on a bus, heralding a movement of resistance, with Dr. Martin Luther King, Jr. as its public face. A report shows too few U.S. high-schoolers know about the Civil Rights movement. 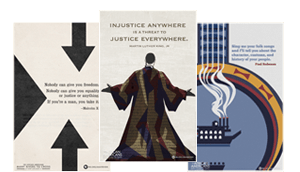 A short biography of Thurgood Marshall and a poster with a quotation by the first African-American Supreme Court Justice.